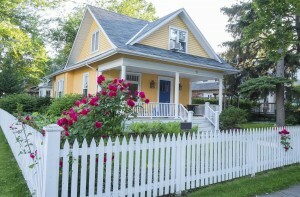 Improved curb appeal can also increase your home’s resale value by as much as 15-20%. A New Fence, meanwhile boasts a return on investment (ROI) of 50-75%. Put those two statistics together and you have one happy homeowner. So if you are looking for a way to increase curb appeal and home value, investing in a new fence is probably the way to go. For more than 50 years, Hercules Fence has been providing exceptional fence services to the people of Manassas, Virginia and the surrounding area. We are not only Virginia’s largest fence company, but we have the ability to buy the product you want at a price you’ll love, a price that will afford you value to complement our quality. Click Here to view our many fencing options. Your new fence is just a click away! The knowledgeable people of Hercules Fence have developed a reputation for professional service and quality installation. We are here to answer any questions you may have and help you choose the best fence for your wants, needs, and, perhaps most importantly, your budget. There are roughly 900 property crimes in Manassas annually, including 111 burglaries, 741 thefts, and 48 auto thefts. Is your home safe? A fence in an excellent crime deterrent. Pick a fence that will not be easy to climb with an entry point that has a lockable gate. Can you feel your nosey neighbor’s prying eyes on you and your family while you are trying to enjoy a nice time in your backyard? A privacy fence may be just what the doctor ordered. Hello increased privacy! Maybe you own a dog and just want to give him/her a safe place to run around. A new fence is a great way to keep Rover in your yard while keeping other animals away. The right fence can also help cut down on the wind and noise pollution in your backyard. Interested in a New Fence? Please contact Hercules Fence of Manassas, Virginia by calling (703) 551-2609 or visiting our website. You can also follow Hercules Fence on Facebook, Twitter, Google+ and YouTube! This entry was posted on Thursday, August 7th, 2014 at 5:19 pm. Both comments and pings are currently closed.